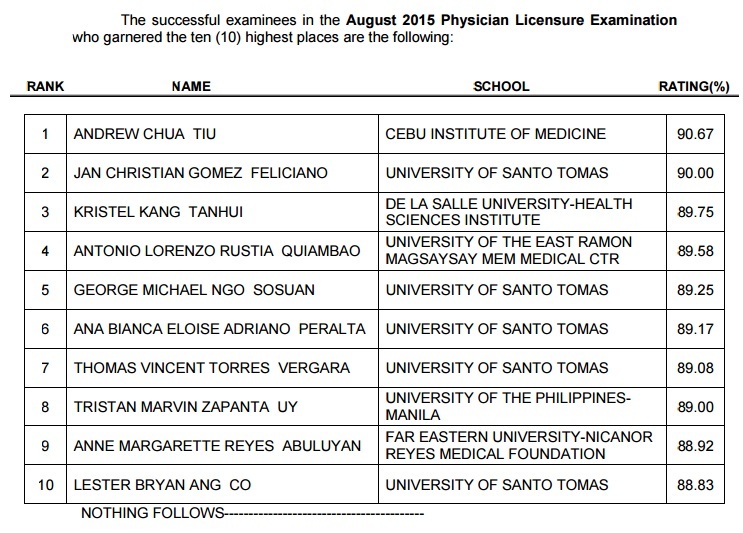 The Professional Regulation Commission (PRC) on Wednesday officially announced the full list of passers for August 2015 Physician or Medicine board exam. Andrew Chua Tiu, a graduate of Cebu Institute of Medicine (CIM) topped the licensure exam with 90.67 percent grade. A University of Santo Tomas (UST) alumnus Jan Christian Gomez Feliciano placed second with 90.00 average grade.